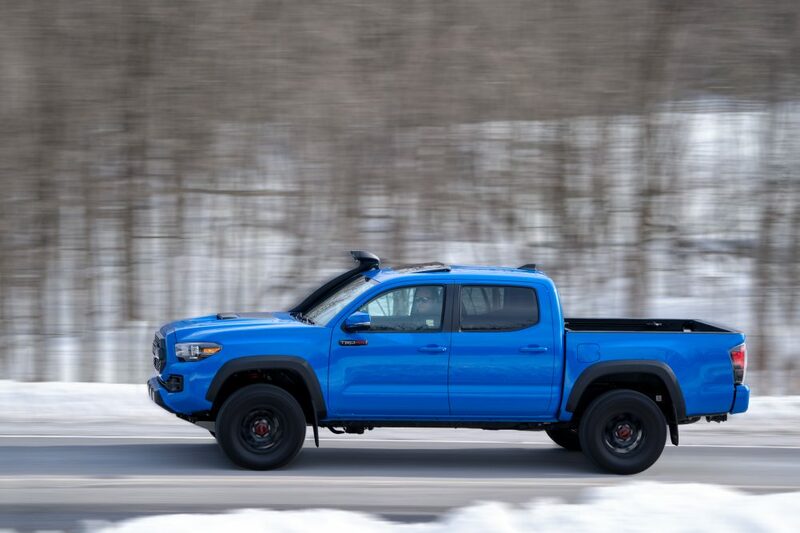 You guys already know what I think of the current Toyota Tacoma. I called it the best small pickup truck you can buy in my 2018 Best of Everything. And many of you probably think I’m nuts now. Or plain stupid. The thing is, I’m well aware that the Tacoma is a heavily flawed vehicle. If you’re looking for a good midsize truck, I’d tell you to buy a Honda Ridgeline, a Chevrolet Colorado, or even the new Ford Ranger instead. But here’s what you need to understand about the Toyota. It’s not about how good it is. It’s about how cool it is. And trust me, no other truck in this segment manages to do it as well as a Taco. For 2019, Toyota has somewhat updated it through a series of rather superficial add-ons. As goes tradition, there’s a new theme color this year called Voodoo Blue. I don’t know about you, but I personally quite like it. 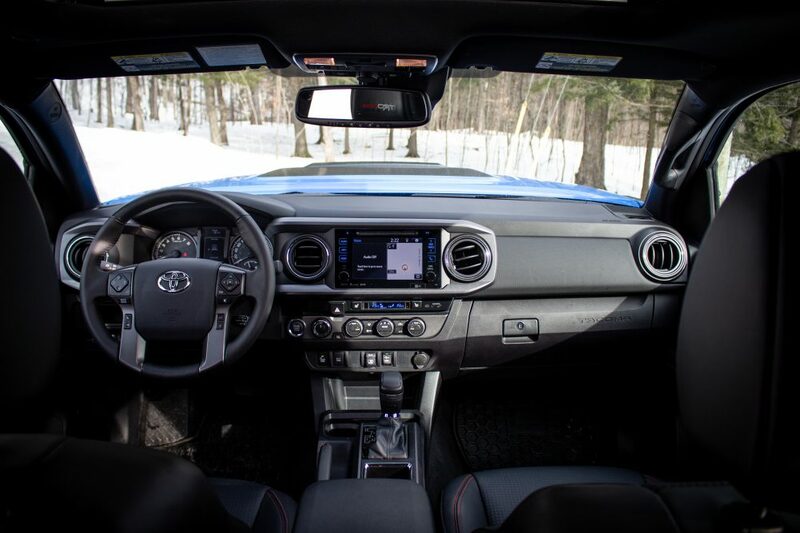 That giant worm-like wart you see sticking out of the right-hand side of the rig is actually a snorkel – it’s optional on all 2019 Tacoma TRD Pros – mostly engineered for dune jumping or sand driving, and not for driving under water. At least, that’s what Toyota says, but it more-or-less sounds like it’s trying to stay away from defective electrical system repairs due to water damage. Anyway, the rest pretty much remains the same. Rigid Industry LED foglamps were added, and so were new Fox dampers with remote reservoirs. 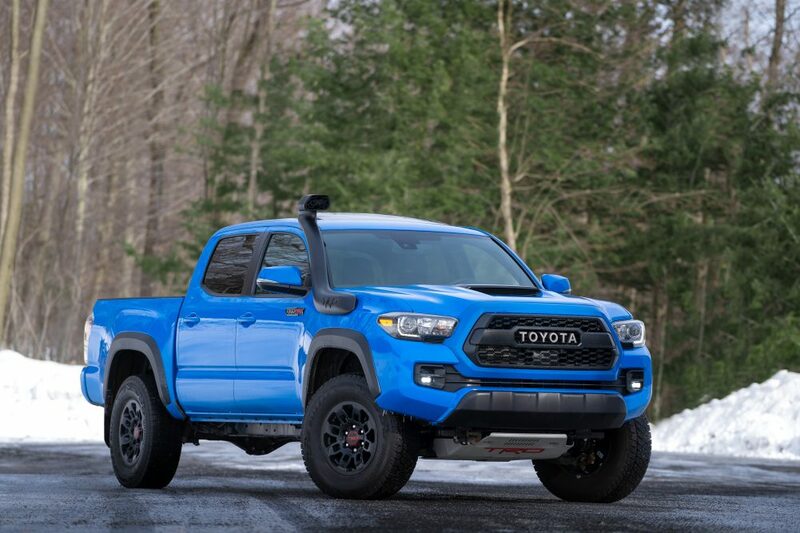 Skid plates, dedicated wheels, offroad tires, a louder exhaust and TRD Pro logos splattered here and there complete the package. And yes, you still need to sell a kidney to buy one. My tester stickered for a whopping $56,735. Ouch. Unsurprisingly, nothing was changed in the engine compartment. 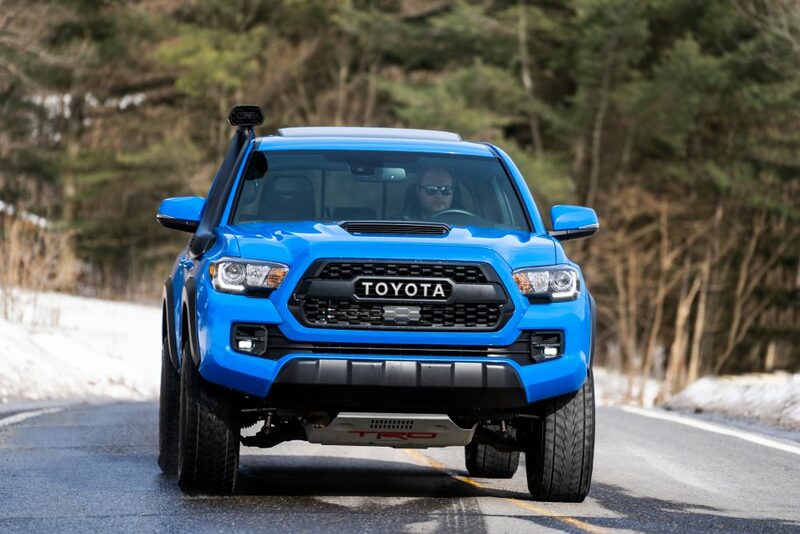 While the Tacoma can be had with a choice of a four or a six cylinder engine, all TRD Pros come exclusively with the 3.5-litre six, essentially the same engine that’s been powering everything at Toyota/Lexus for decades. Power is rated here at 278 horsepower and 265 lb-ft of torque. 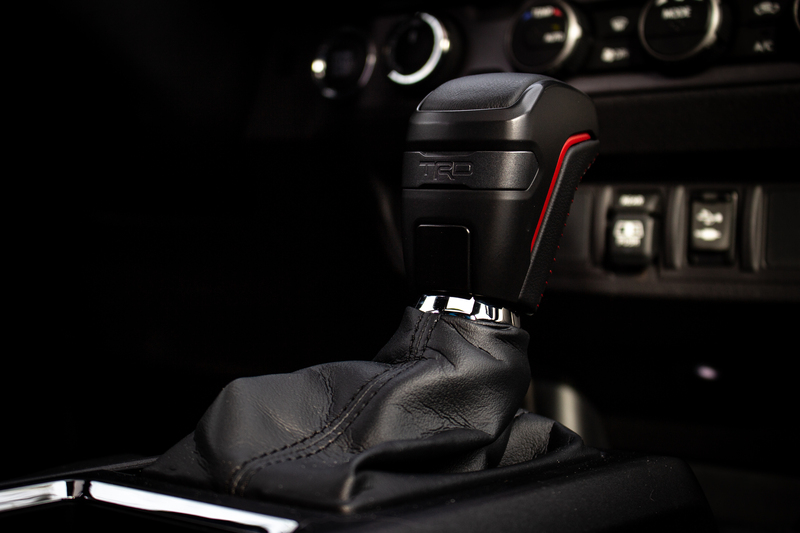 It’s still mated to an antiquity of a gearbox: a six-speed automatic. Four-wheel drive with a two speed transfer case is of course standard. I’m happy to announce that yes, it’s still possible to equip your offroad-dedicated Taco with a six-speed manual transmission. Except, only the automatic comes fitted with the witty Crawl Control system, handy for getting yourself out of thick mud or snow. Getting inside a Tacoma is a little tricky if you’re tall like me, as it requires you to climb, and then tuck your head. That’s because the floor is quite high, so high in fact that when you’re driving, it feels like your knees are in your forehead. It’s not really comfortable. Then there’s the fact that the steering column isn’t telescopic nor is the cabin spacious. What you end up with is a truck in which you don’t want to stay long. Chassis wobble and body motions over rough surfaces are still very present, and the automatic gearbox is clunky and not all that refined. To its credit, it does a great job of maintaining revs in Sport mode, ideal to let that V6 rev. It’s an engine I still adore though, no matter what it powers. 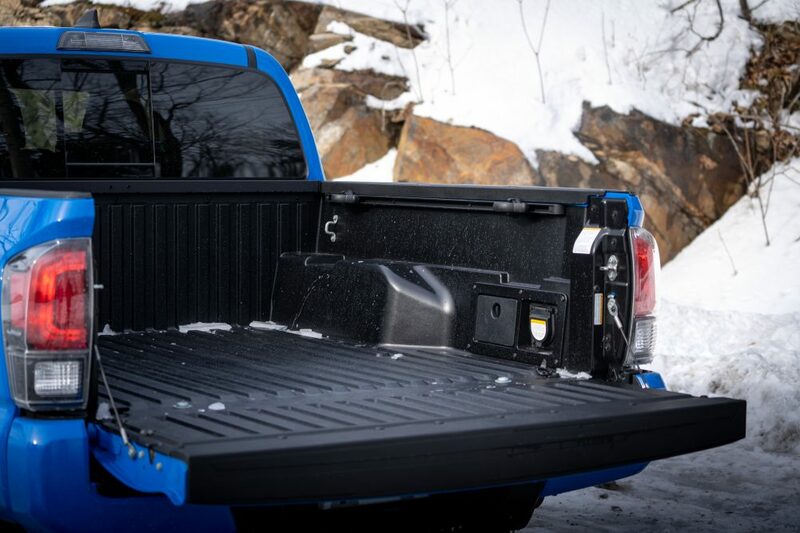 Smooth, torquey and melodious, it’s the Tacoma’s best asset, allowing it to be surprisingly quick off the line. Except, it drinks gasoline like a hog. I could barely stay under the 14L/100 km mark while I had it, which is ridiculous considering full-size V8-trucks can do just about the same. Or better. Finally, the infotainment system is easy to comprehend and grasp with its large icons and redundant physical controls, but there’s still no Android Auto / Apple CarPlay compatibility. Toyota says we’ll need to wait until next year to get them. Meanwhile, a $12,000 Chevrolet Spark gets it standard. 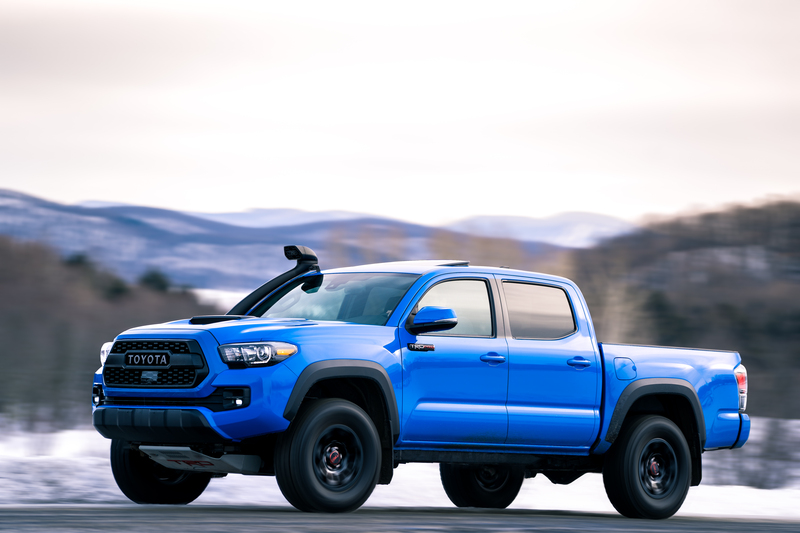 So, as you can see, there’s nothing logical about the 2019 Toyota Tacoma TRD Pro. It’s not all that comfortable, the entire thing feels old and dated, and driving it around town will dig a hole right through your wallet. Why do people buy them then? 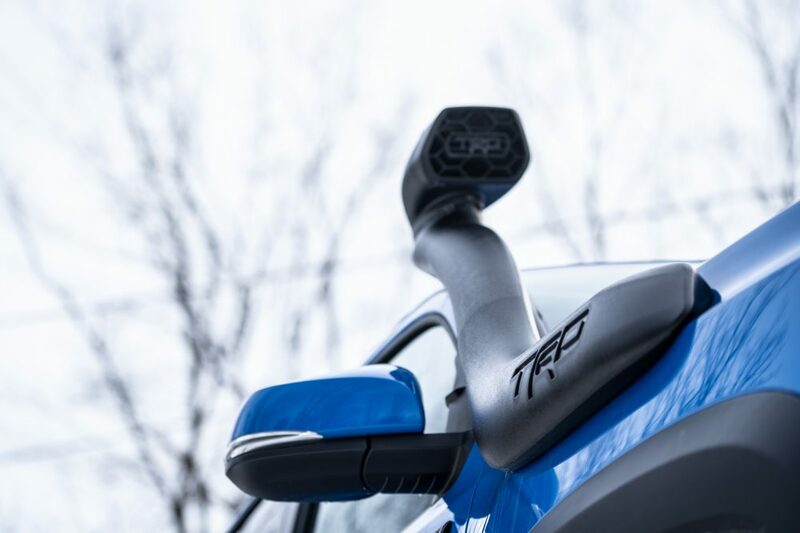 In case you haven’t been keeping up, all TRD Pros are already sold out in Canada. The answer to that question comes back to my original statement: because the Tacoma is cool. Period. On the road, there’s no denying its kickass presence. Everybody loves it. Then, there’s the reliability record of the thing. It’s through the roof. And don’t even get me started on resale value. Honestly, I think you’re making a better deal if you buy one of these new instead of second-hand. 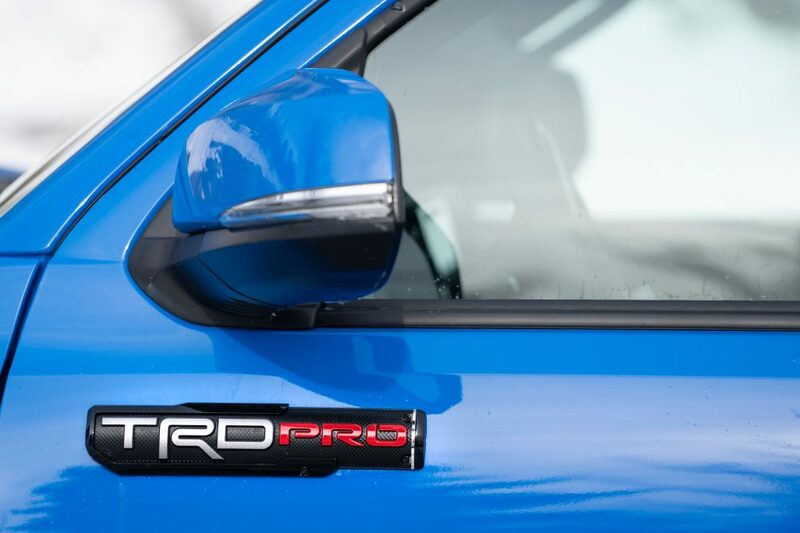 The thing is, as long as Instagram will be filled with #taco, #trdpro, and #toytoy hashtags, people will keep coming into showrooms for more. 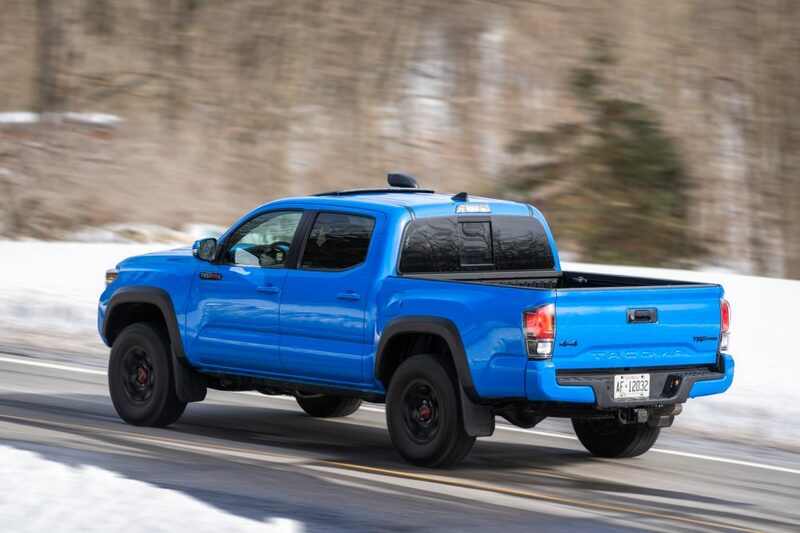 Its offroad capabilities are frankly quite good – not as extreme as a Colorado ZR2, but good enough to follow a bunch of Jeeps in a trail -, towing capacity is rated at a comfortable 6,500 pounds (2,950 kg), placing it just under a Colorado (7,700 lb / 3,493 kg) and a Ranger (7,500 lb / 3,401 kg), but still over a Ridgeline (5,000 lb / 2,268 kg), and identical to a Nissan Frontier (6,710 lb / 3,044 kg). Toyota then, understands that as long as its truck is reliable and desirable, it can be mediocre in all the other areas. 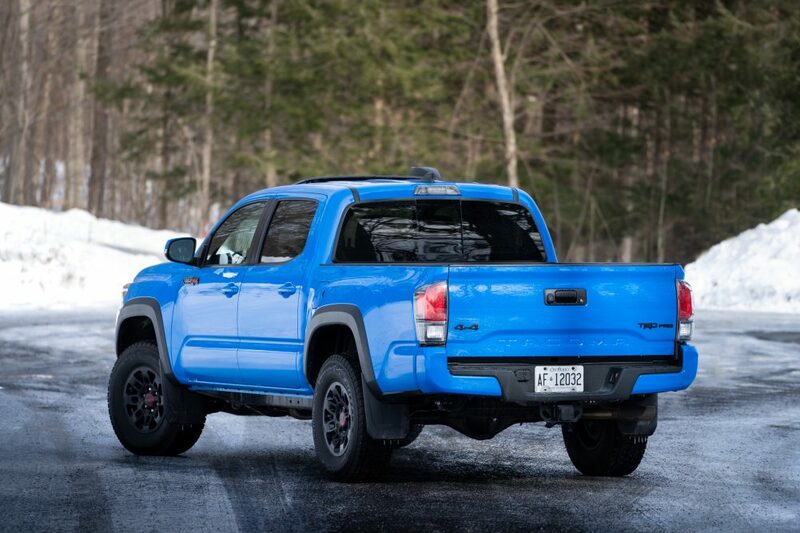 Hey, with 10,000 sold in Canada last year, outgunning all its rivals, it’s certainly working for Toyota. As for me, I still adore it, no matter how imperfect the damn thing is.